From left: Camille Koch from Macedon Ranges Health, Jo Boylan from Southern Cross Care SA & NT, and Sandra Thomson from PresCare. 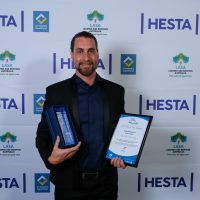 Onsite gyms for residents and facility staff at 13 facilities, a program to reduce hospitalisations through improved sub-acute care, and the establishment of a multi-disciplinary wounds resource team, are behind the winners of the 2016 HESTA Aged Care Awards. Announced in Canberra last night, Southern Cross Care SA & NT picked up the Outstanding Organisation award for its Health & Wellness Centres launched in 13 residential aged care facilities as part of an organisation-wide focus on promoting quality of life through healthy ageing interventions. 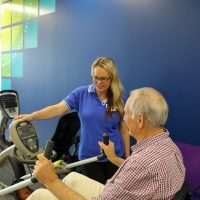 Up to 50 per cent of residents are attending the gyms, which are run by qualified fitness coordinators who provide individualised programs for residents designed to improve their strength, fitness and general wellbeing. Southern Cross Care’s director of operations, Jo Boylan, said a 54 per cent reduction in fractures in the first year of the program is among the extraordinary positive changes they have seen in residents. The centres have also enabled lifestyle and care staff to completing fitness certificates. Yesterday Ms Boylan shared her organisation’s approach to wellness and reablement during a panel session at the Active Ageing Conference 2016 in Sydney. The Team Innovation award went to PresCare Alexandra Gardens in North Rockhampton for its Sub-Acute Care pilot that aims to better manage clinical deterioration in residents. The number of residents transferred to hospital decreased by 50 per cent within the first 12 months of the project while the total number of days residents were in hospital decreased by 57 per cent. PresCare Alexandra Gardens facility manager Sandra Thomson said the program had significantly increased satisfaction among residents, who didn’t want to go to hospital because they could feel lost and scared in the unfamiliar environment. “Through this program, our skilled staff are able to conduct a comprehensive assessment and an informed decision can then be made to keep them in the facility rather then send them to hospital,” she said. Central Queensland University evaluated the health outcome improvements and economic benefits of the 12-month program and there are now plans to expand the pilot to other facilities. Registered nurse Camille Koch from Macedon Ranges Health – Gisborne Oaks Residential Aged Care in Victoria won the Individual Distinction award for her work improving wound management practice and documentation, and reducing the severity of wounds. 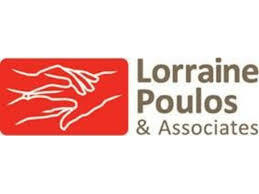 Ms Koch established a multi-disciplinary Wounds Resource Team comprising registered and enrolled nurses, personal care assistants, occupational therapists, dieticians, a clinical nurse manager, and podiatry and district nursing representatives, which provides holistic wound management. Ms Koch has become a champion for change around policies, procedures and documentation, ensuring the broader Macedon Ranges Health team is educated on best practice wound management strategies. 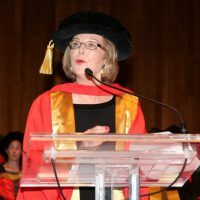 “I really wanted to prevent residents from developing wounds that require hospitalisation and the Wound Resource Team aims to prevent and manage wounds holistically and in an evidence-based manner,” she said. The three winners, who were chosen from among 14 finalists, share equally in a $30,000 prize pool provided by ME to be used for further education or team development. 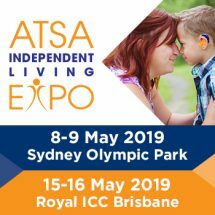 HESTA CEO Debby Blakey said the winners reflected the vital work of aged care professionals in meeting the challenge of providing high-quality care and support to the growing number of older people in our community.